This page is for Mr. Salvador De La Paz of Mexico - the first person to illustrate Raegan and RJ! We all affectionately call him 'Mr. Paz', which means 'Peace' or 'Tranquility' in Spanish, and his work was ground breaking!. 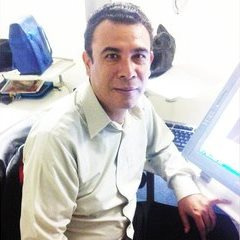 He is an artist and illustrator who lives in Mexico! He worked on R&RJiS from September 2012 to May 2013 - No one had ever tried to do what we did with something like R&RJiS! 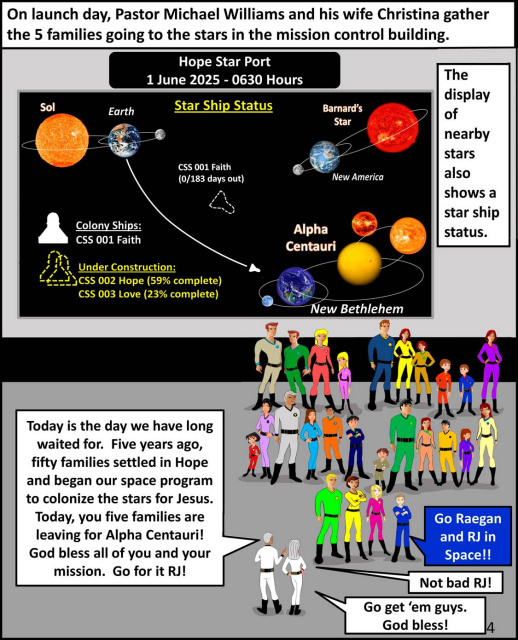 - To illustrate 26 characters on a space journey, 5 complete families, and ships and all that - well Mr. Paz did it!!!! Mr Paz' work was studied in detail by all of the illustrators that followed him - and all 4 of them became 'award winning' with his help - the award winning graphic novels on this site that were done by DL, Donny, Jhenna, and Robert were a success not only because of their amazing abilities and talents, but also because of this work below. He stopped working on the project when his computer broke, and then I guess he moved on, but we are blessed to see the covers, amazing art, and nine pages he did get done! Unfortunately, since he didn't finish a complete graphic novel, none of his work got published :( so this page is for him! God Bless you Mr. Salvador - I hope you are doing well wherever you are - We will never forget you Sir, your gentle manner, courteous e-mails, extreme care of the subject matter, and your amazing work, will be posted here for kids all over the world to enjoy. 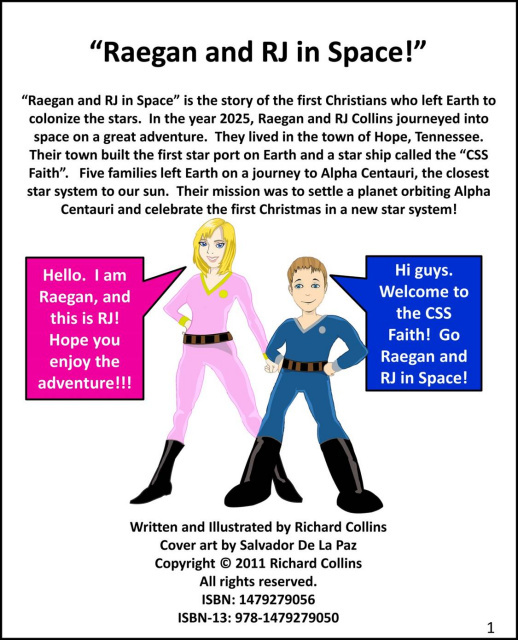 Amazing Art #1: Raegan and RJ in the Starport in front of the CSS Faith Star Ship! This was so cool the way he did this picture and the rolling treads on the CSS Faith were awesome. The way he started doing the shadows was really cool. You can tell he is a very good artist because the closer objects are bigger, and they get smaller as they go back, like the front end of the CSS Faith versus the back end, he used 'perspective' and had everything converging on a point behind the scene, this is very difficult and really separates I think people with talent and work hard at their illustrating and amatuers or just people like that either cannot think that way or do not want to put in the hard work to do realistic drawings. You can tell Mr. Paz put a lot of time and energy into this piece of art. I have gone on-line to the art web sites and tried to do simple 'perspective' line drawings and it is very difficult. I could not do this. 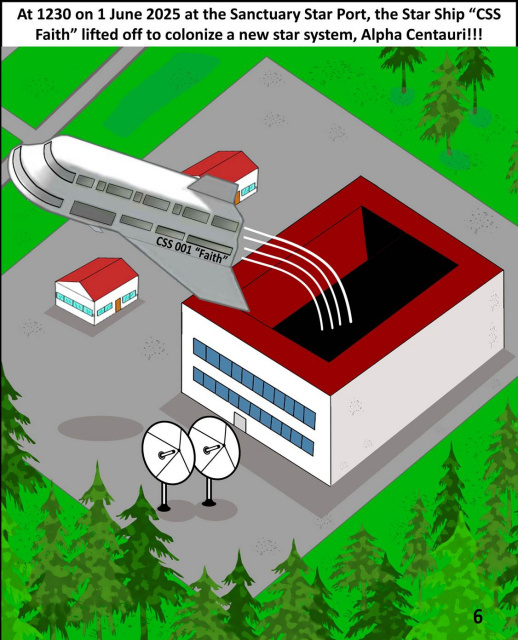 Something like this would be easy to copy, and looking at it now we say yea that looks good, but to do it first, like Mr Paz, and have to visualize what this would look like in 3D would be very hard. This was amazing. 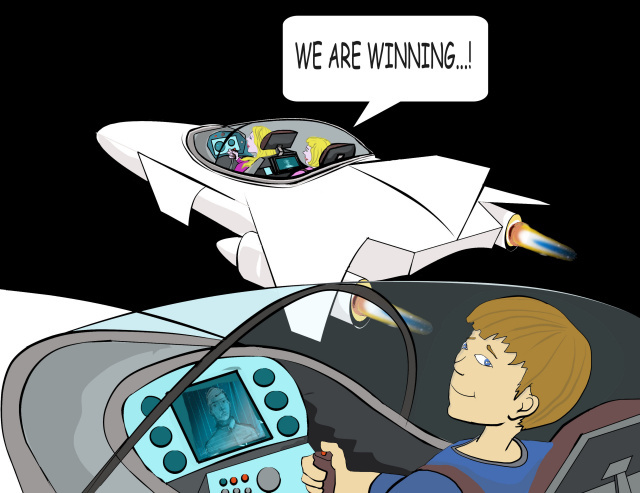 Amazing Art #2: Raegan and Emily and RJ in the emergency escape speeders having a 'race' in space to test them out! I loved the way he drew the speeders and the 3D look of Raegan, RJ, and Emily holding the throttles and the screen with the Captain in it, and also the way RJ is looking back right at us kind of brings us into the scene, it was really cool. It looked very realistic, like an action shot! When you can show the kids in action scenes that is really cool. I wish we could have seen the whole race!! English cover! Cool - nothing like it! 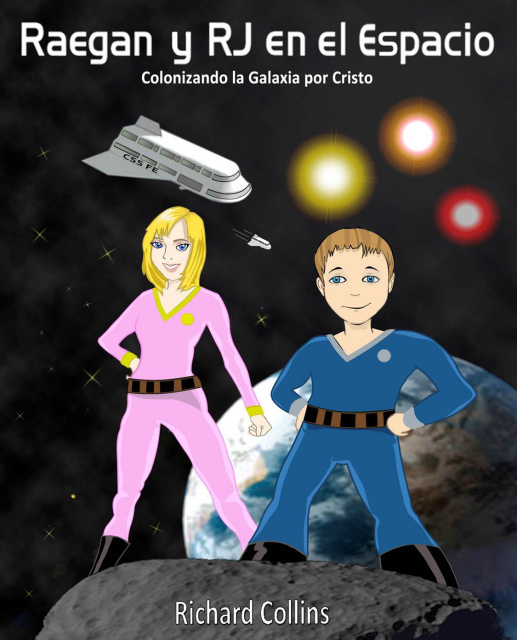 Spanish cover: The way he translated R&RJiS into Spanish was awesome - I did not think it could be that easy, but there it was! The Spanish version of R&RJiS began right here when he did this. 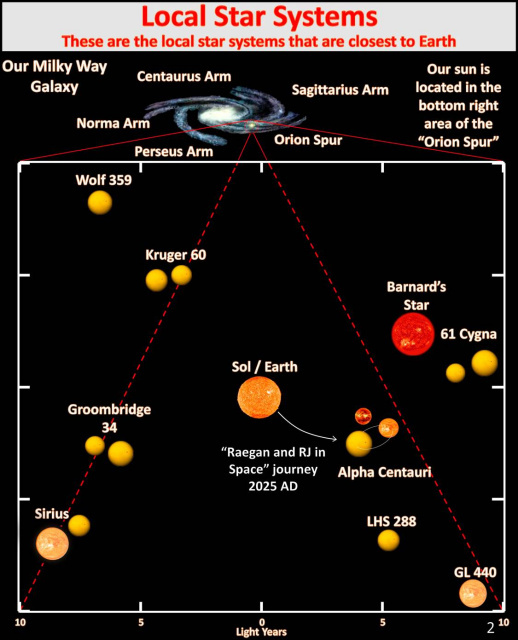 Page 2: This was so cool - the way all the suns and the galaxy looked like they were 3D was awesome, this was really cool. 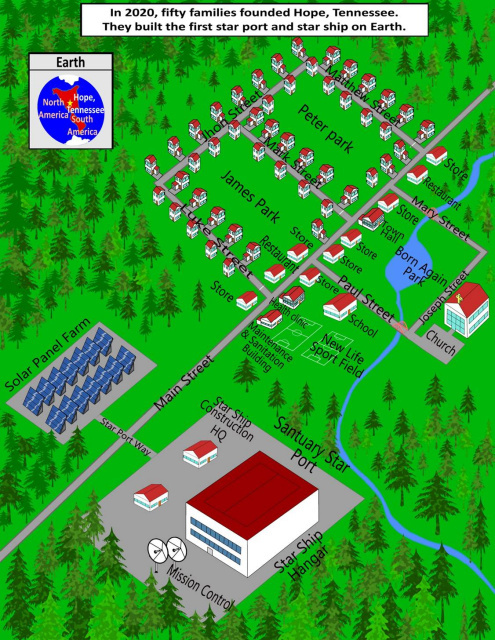 Page 3: This was the first time we saw Hope in 3D, there was just something about the bright white houses and those pine trees that make this pop! 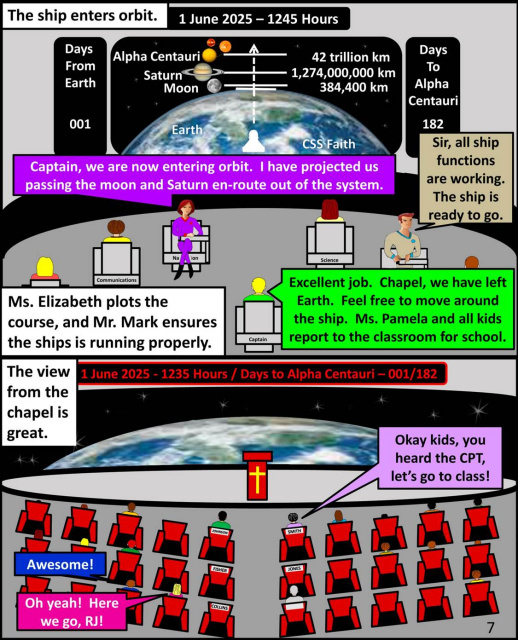 Page 4: Amazing - all 5 families, that cool planet display, one of my favorite characters is little 3 year old Stephanie in the red space suit kind of looking very mischevious, and I love the shadows under all the people - sweet! Page 5: The way all the star ships were done was perfect, with Hope and Love under construction, and the Faith ready to go! 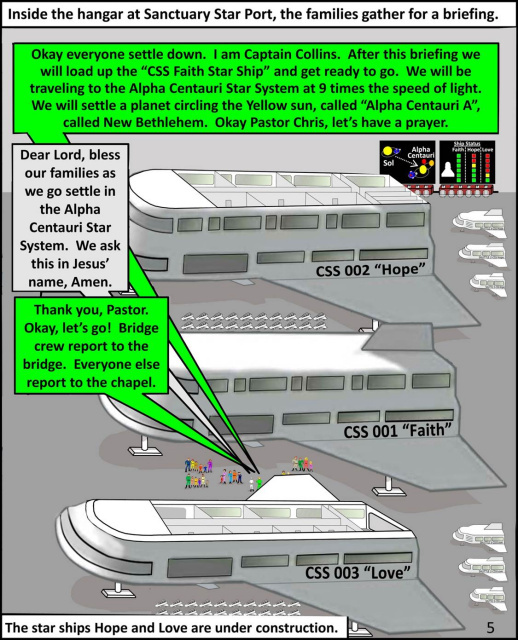 Page 6: I love this drawing of the Faith leaving the star port, very nice! Page 7: The displays and Ms Elizabeth and Mr Mark are awesome! I think this is where Mr. Paz started having trouble with his computer because alot of the stuff from this page is still my powerpoints, but still awesome. 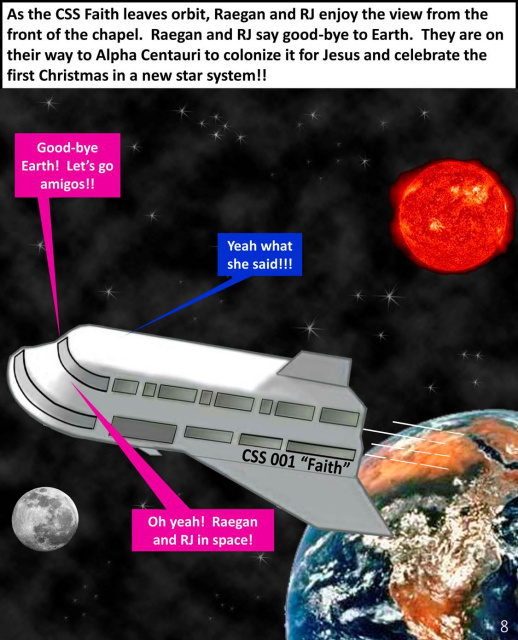 Page 8: Great shot of the CSS Faith leaving Earth with a real moon, Earth, and sun. 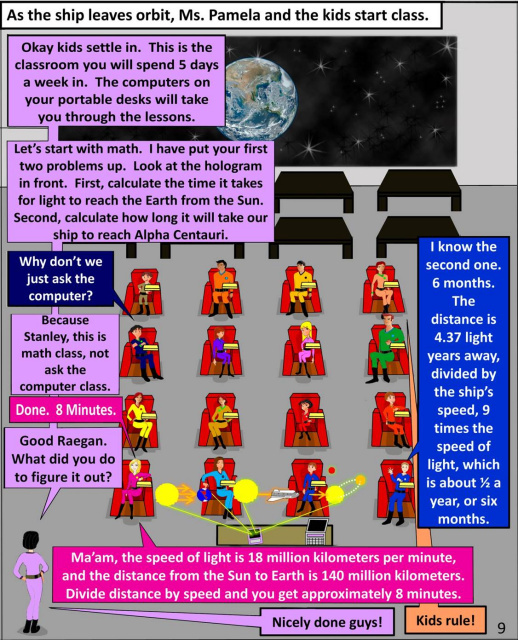 Page 9: Awesome here is the classroom scene, with all 16 kids on the journey having some problem solving using the holograms, this scene must have taken along time, well done Mr Paz! Mr Paz - we will never forget you - you really did an amazing job with Raegan and RJ! 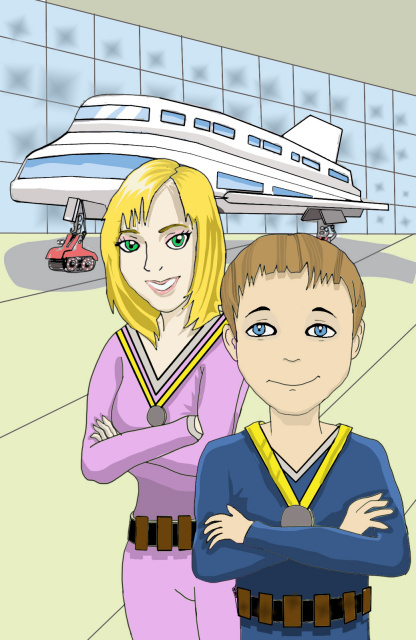 Kids from all over the world visit this site and enjoy your work. I still like looking at the pages and how you drew everything.